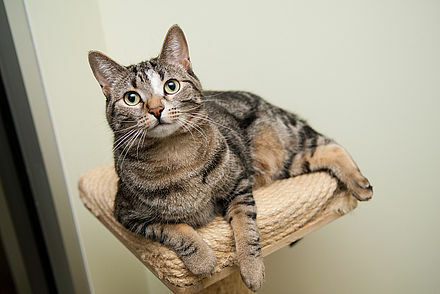 Adoption-Ready Fosters are healthy cats who are ready for adoption. They need a temporary foster home, either while we wait for space at one of our Adoption Centers to open up or for a specific adoption event. 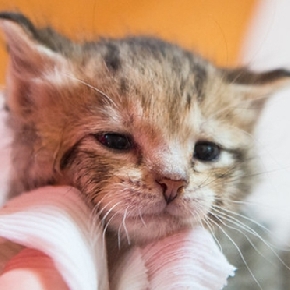 The duration of the foster period can range from one day to two months. Kittens and cats are curious, playful and often mischievous. Don’t leave anything out that your foster pet can chew, swallow or break (electrical cords, hair ties, glassware, etc.). 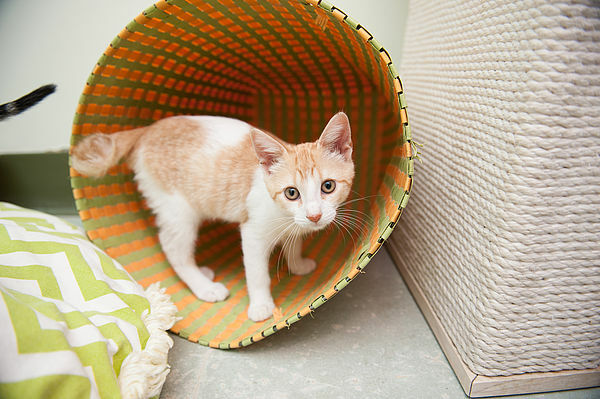 Look for places where your foster can hide and be sure to block access to those areas. Keep your foster cat isolated from any other animals in the home unless otherwise discussed. Cats should be fed at least twice daily. Please feed your foster cat the food and the serving suggestions that we have provided. If he refuses to eat his food, please contact us. We will help you determine your next steps. Wash his wet food dish between servings. Scoop the litter box in the morning and evening. Note stool consistency. Please visit your foster at least two to three times a day for at least 20 minutes per visit. Encourage affectionate behavior with food treats or play sessions.